I would like to know how many times did you see Bj in show ?! for me it's 2 time ! don't cry ! you are only 13 years old ! so you'll have the time to see them at least 1 time ! 0..i'm so sad because this year they were in Europe but nobody around me like them of course they don't knouw them and my husband wouldn't me to go alone.....but i keep the faith because i know in my heart one day I'll be there for them!!! Thx for support. 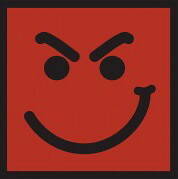 I hope I will come there one day and shout it out loud: BON JOVI!!! Let's keep the faith! !This day will came....! yeah don'T worry it will ! Just continue to believe in the best band ever ! let's believe one day they guys will hold a concert exclusively for us!!! I live in the Uk and have seen them twice.